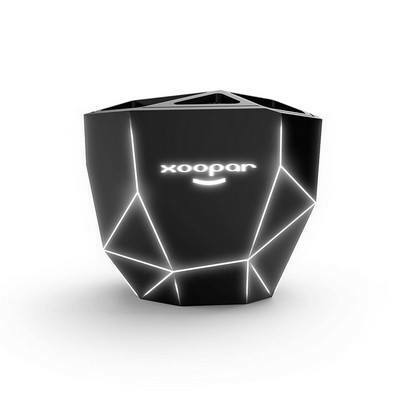 The Xoopar Geo Speaker packs a nice punch in a compact and classy geometric design. 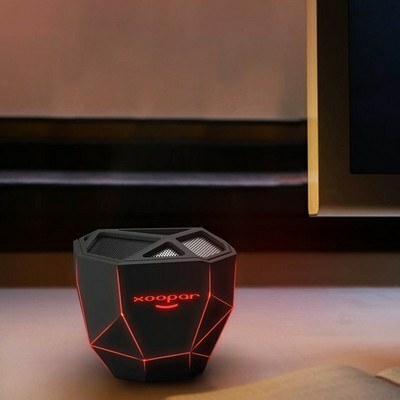 It includes a micro USB charging cable. 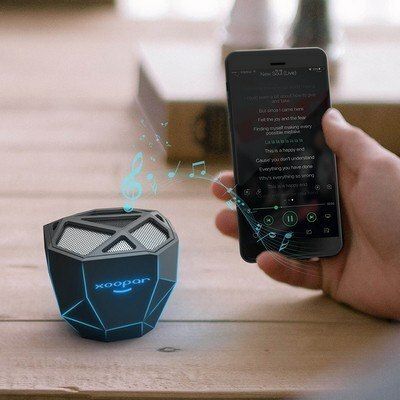 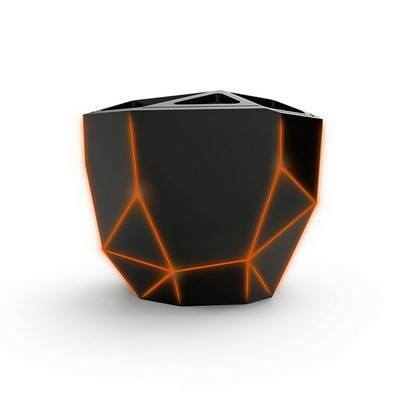 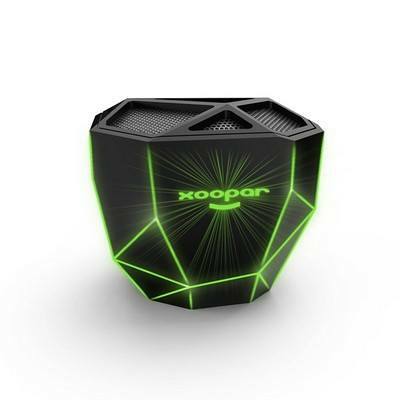 This Xoopar Geo Speaker Desktop Skeletal Lighted Wireless Speaker comes with a wireless range up to 30 Feet. It features 400mAh, Li-Polymer Battery. It's compact design fits in the palm. It's made of ABS plastic for long-lasting use. 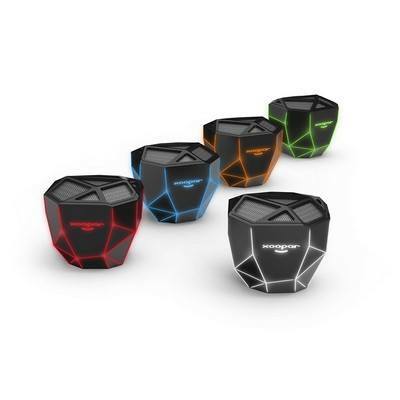 Imprint your company details to create impressive Custom Logo Products.